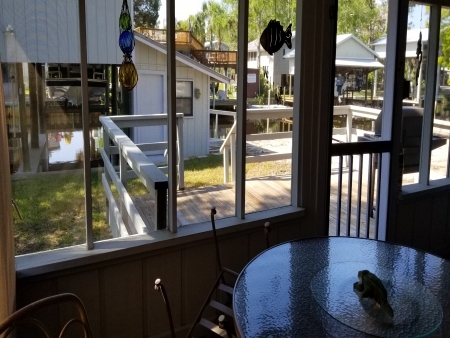 2 Lots w/Large 2 stall boathouse with lifts. Seawall. Boat ramp. 3/2 with 12x16 screened porch. Large open deck. Big storage building and tackle room. Dock out over the water with fish cleaning area and to sit and catch bass, brim and mullet. Deep fresh water canal that leads to the historic Suwannee River and on into the Gulf of Mexico. Home is in great shape. Metal roof. Lots of parking and room to entertain.